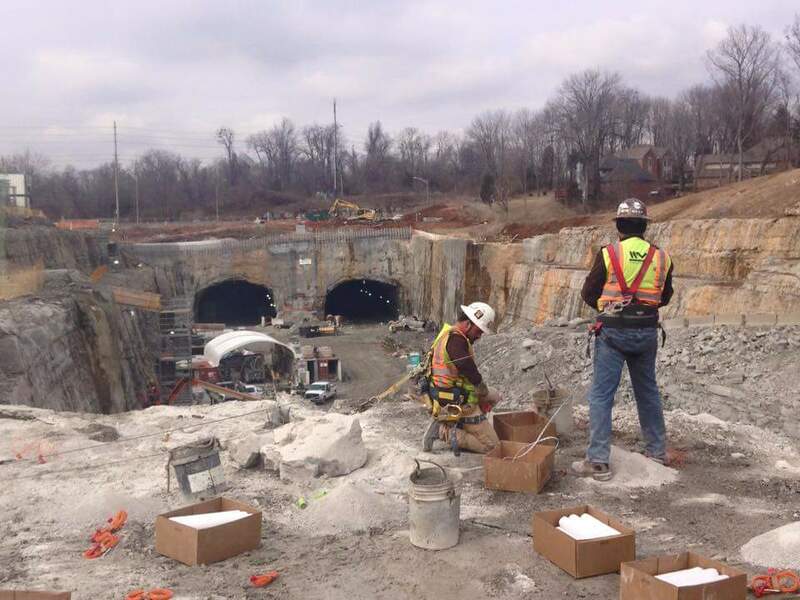 The East End Bridges Project consisted of 3 initial sections. 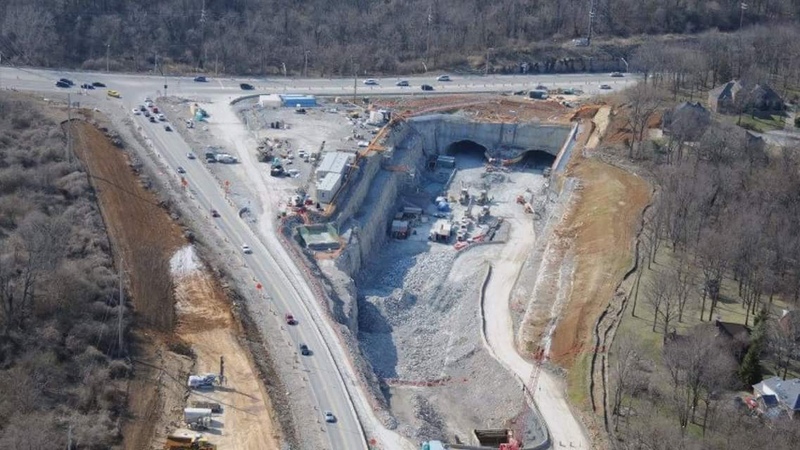 Section 4 was located in Prospect KY, which also consisted of 2 tunnels that were completed by Walsh-Vinci Construction. Section 5 was the actual bridge over the Ohio River, and that section was located in Utica, Indiana. HTA completed all of the surface drilling and blasting services on both Section 4 and Section 6. A combined total of 1.8 million cubic yards of rock was shot, and 1.2 Million holes were drilled, including pre-split and line drill holes. The entire HTA team helped on the projects. Peak particle velocities were held below 0.50 inches/sec for residential structures, and historical structures were held below 0.25 inches/sec. It took a real team effort to accomplish this feat.